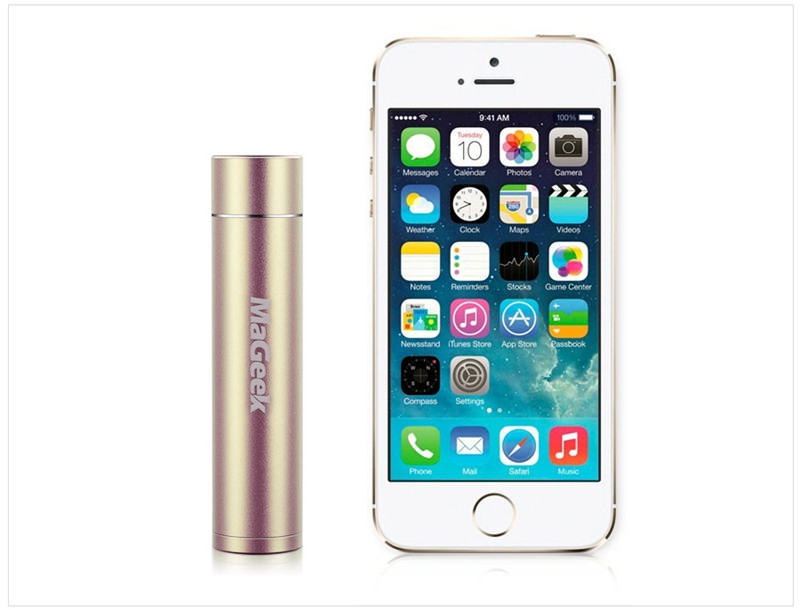 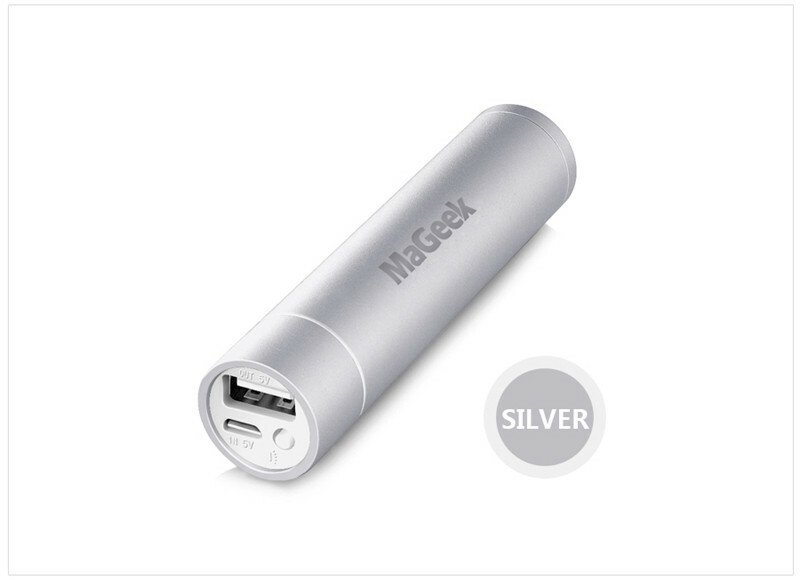 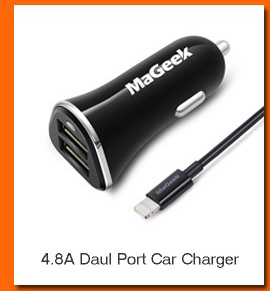 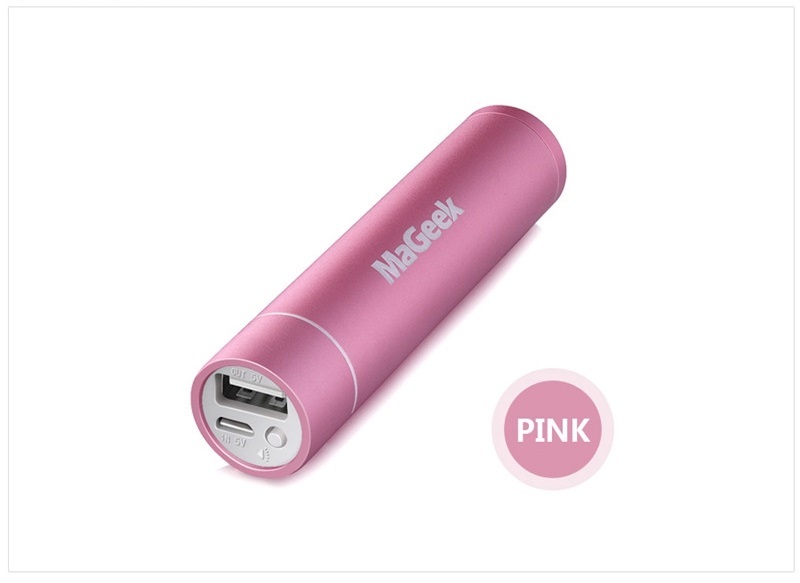 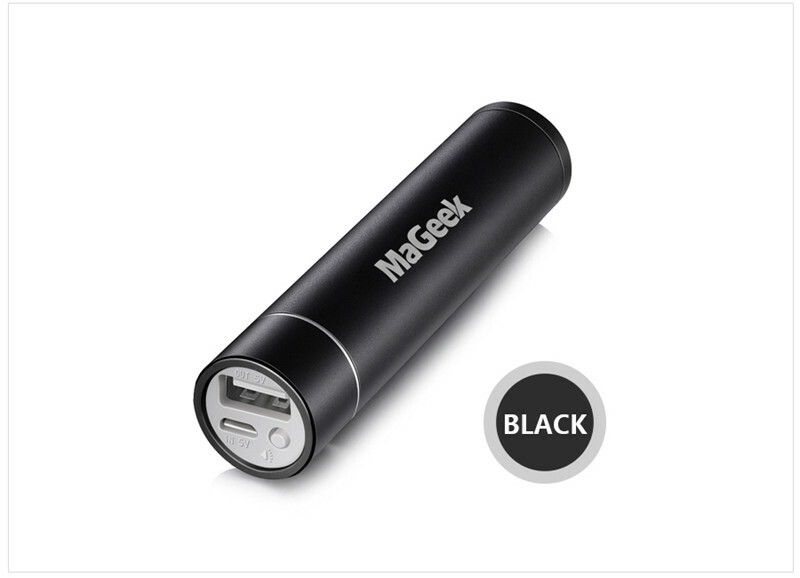 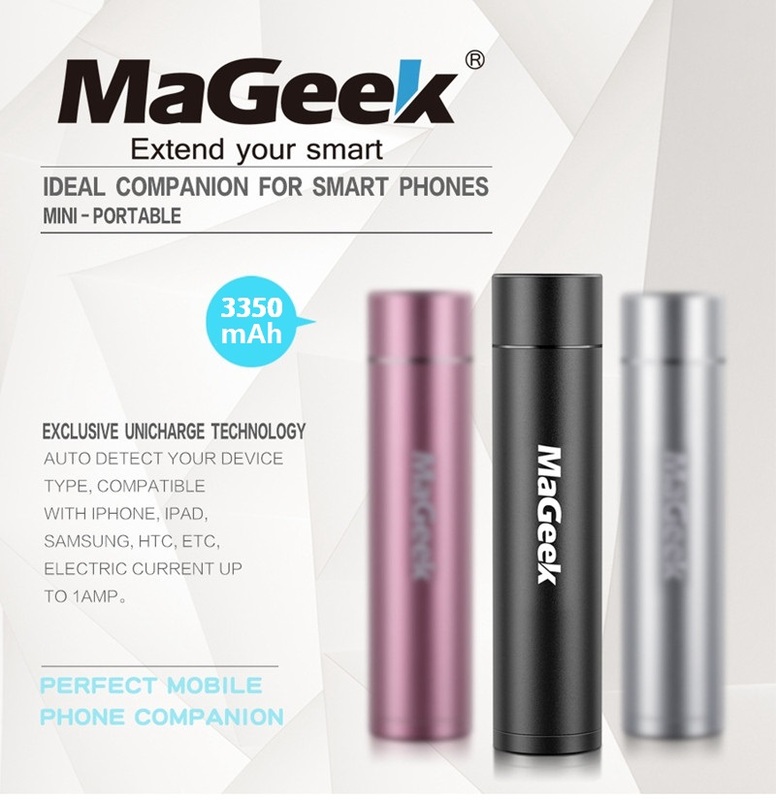 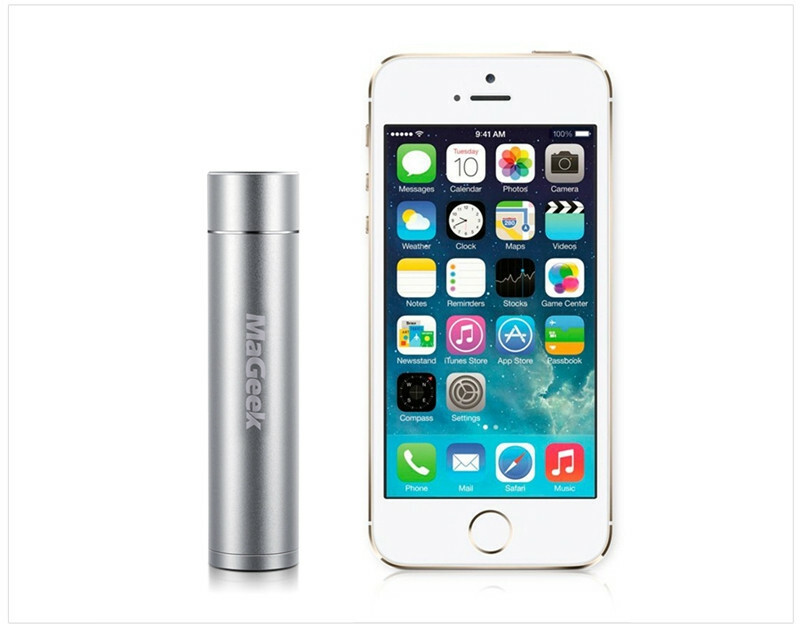 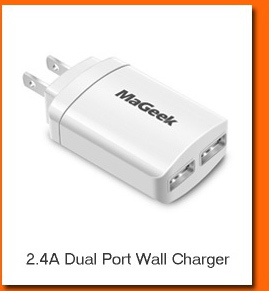 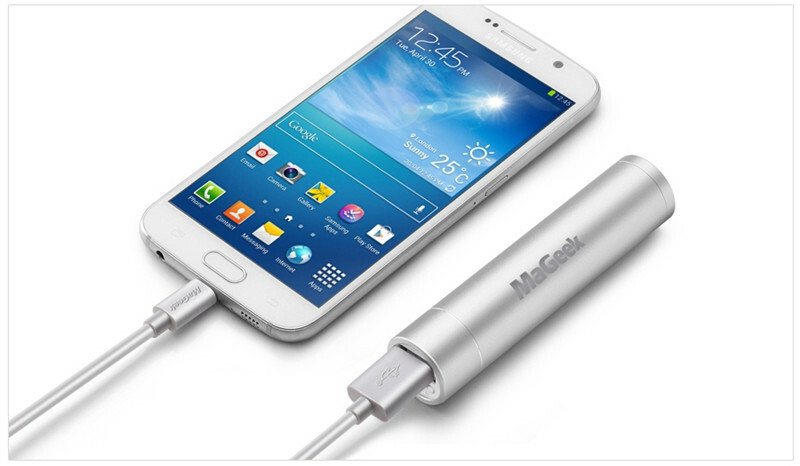 MaGeek Atom1 3350mAh Portable Charger External Battery Power Bank. Ultra compact, pocket-friendly, fulfill your daily needs! 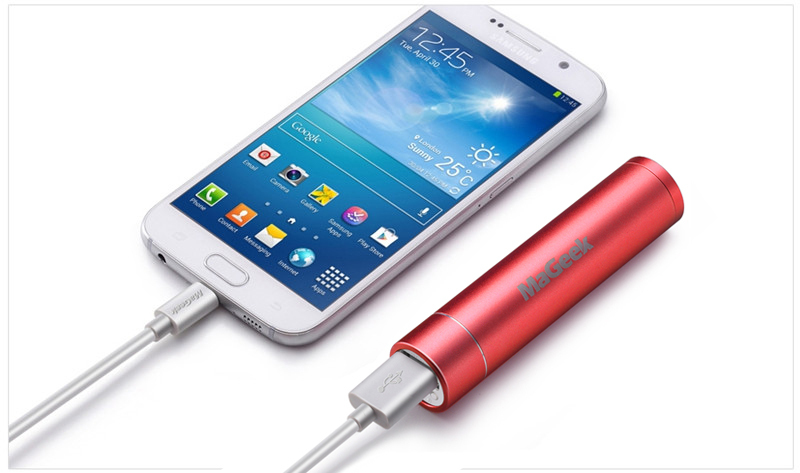 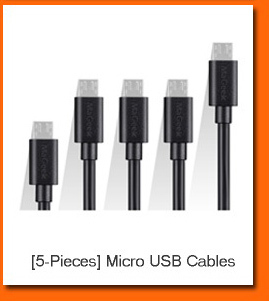 Crush-proof aluminum design (99mm x 22mm x 22mm, 80g). 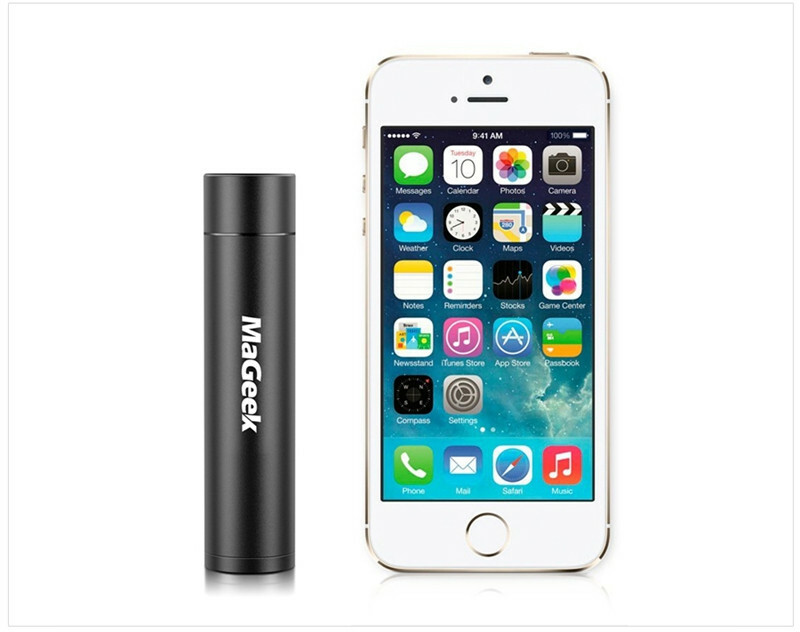 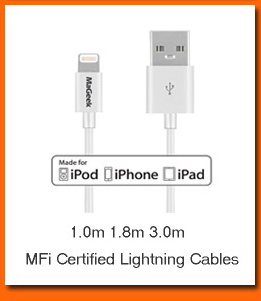 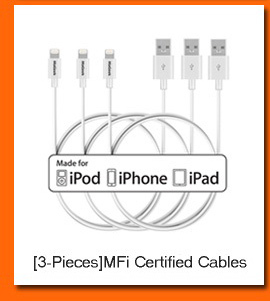 Auto detect your device type, compatible with major portable digital devices like iPhone, iPad, Samsung, HTC, etc. 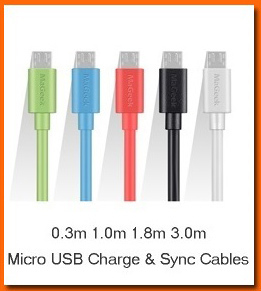 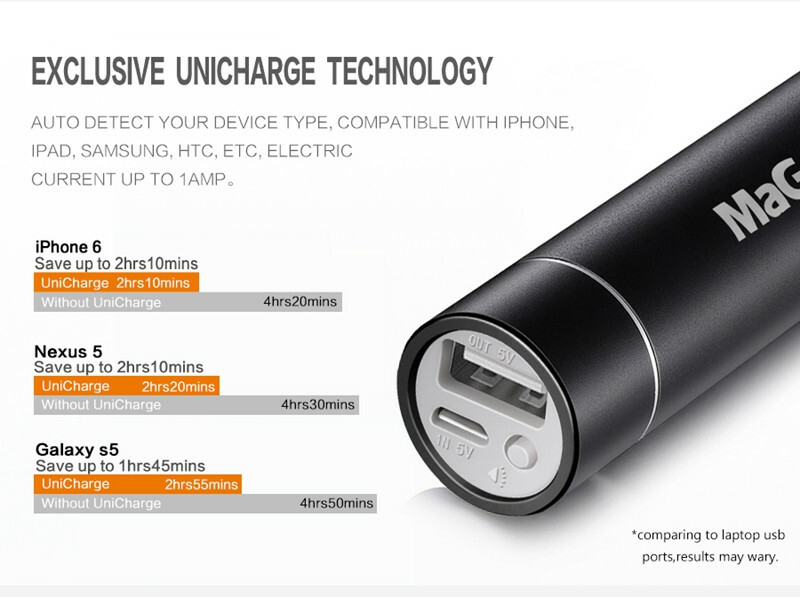 Ultra high density Lithium cell built-in, hassle-free charge your mobile device, relaxing yourself for whole day. 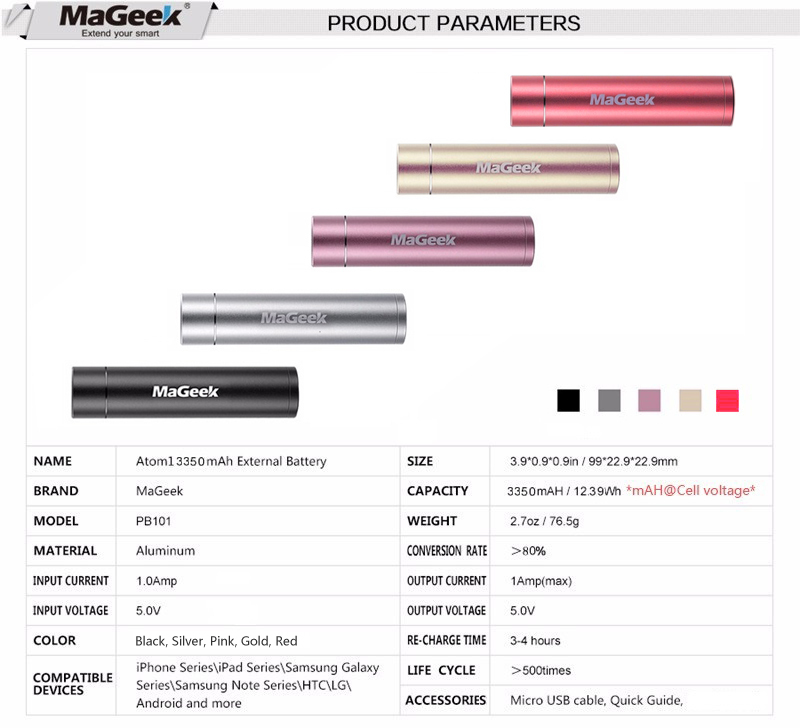 Premium 3350mAH cell by LG, equipped with multiple protection circuits, ensure your complete safety. 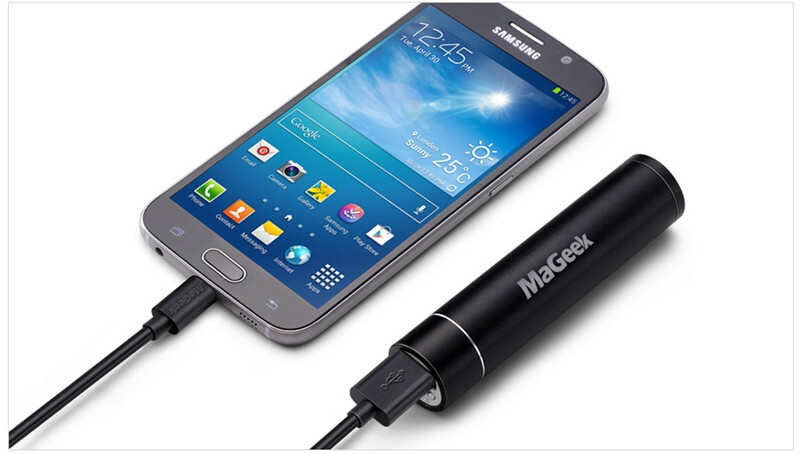 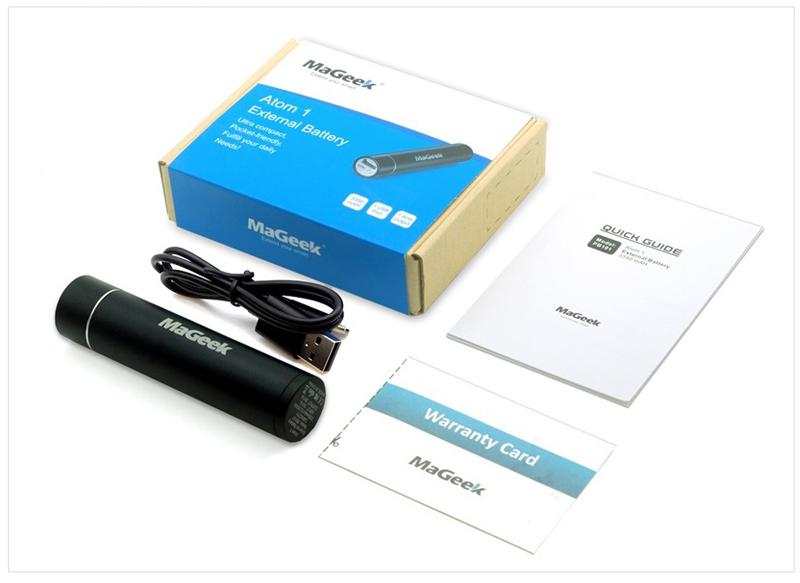 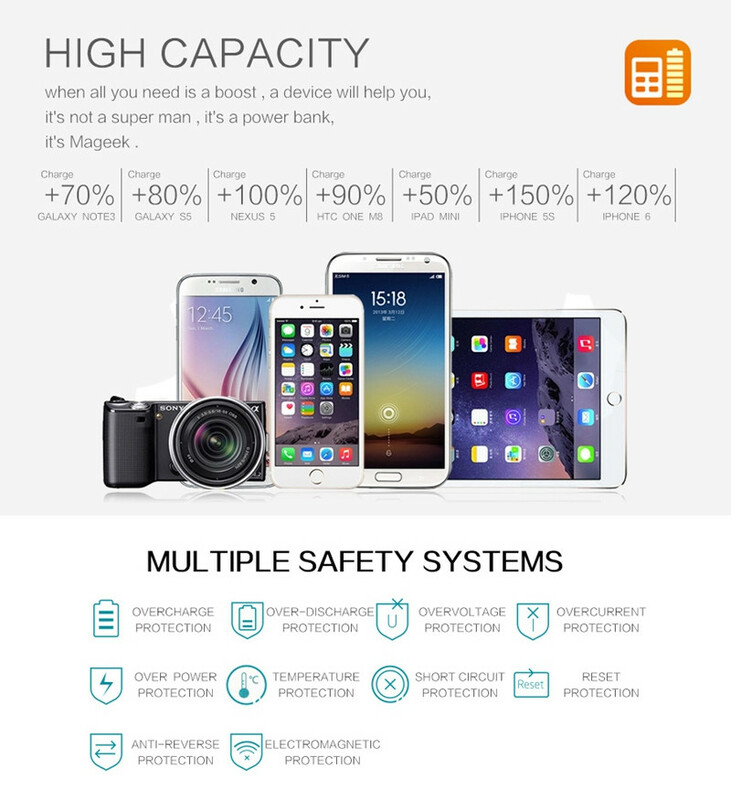 We provide an 18-month warranty and global support, embarking your MaGeek life NOW!